Chrome wire security enclosure with good visibility and protection for high value items. This strong and durable wire security cage is available in both static and mobile configurations with a choice of two size options to suit your requirements. 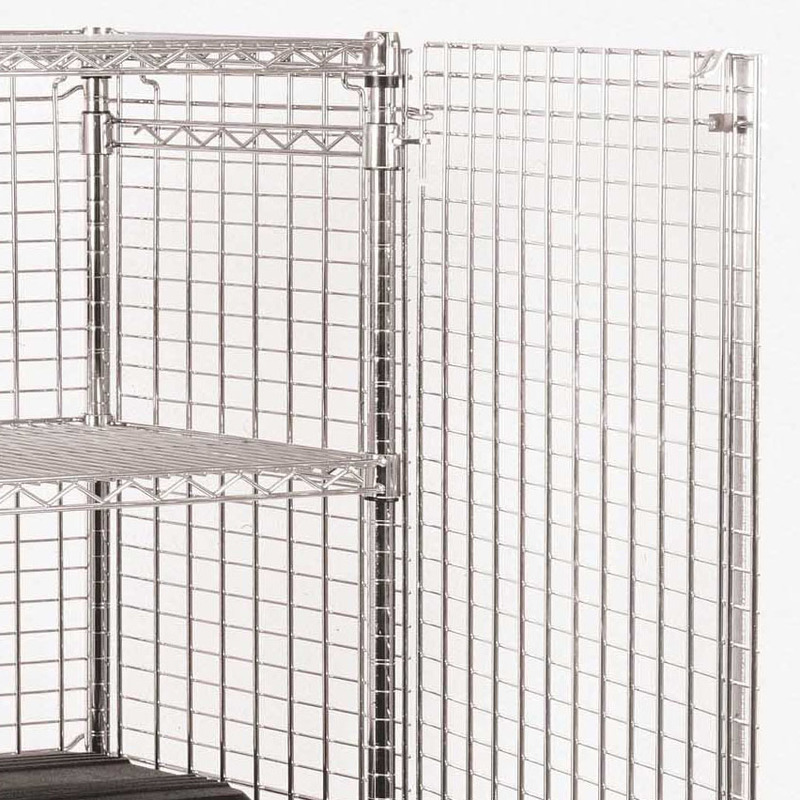 4 shelf pieces are included but one of these acts as the top enclosure, this leaves you with 2 middle shelves and the base level that can be used for storage. 50mm x 30mm mesh panels. 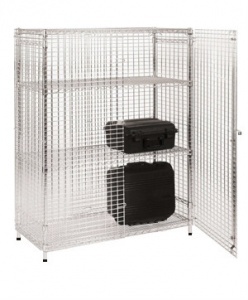 Note: The unit can accept a padlock with up to a 6mm shank. Contents shown for illustration purposes only.